Even wonder what is like to scuba dive? A little nervous about trying scuba diving for the first time? 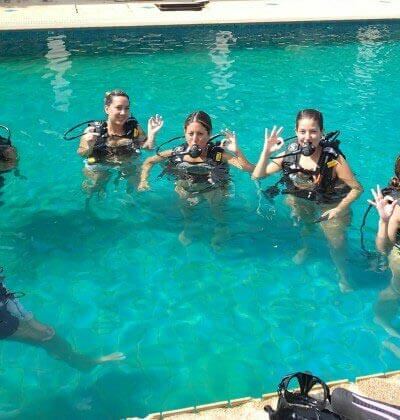 Then come and try scuba diving free with no obligation in our 1.5 metre deep swimming pool. It is the best way to find out if you like scuba diving. 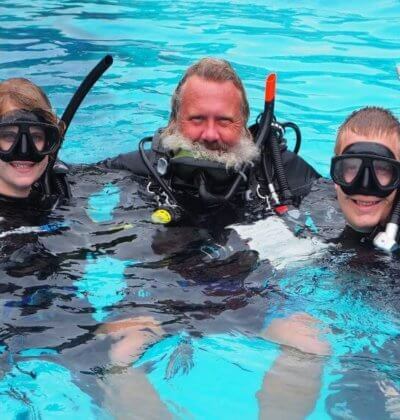 We truly believe that everyone should at least give Scuba Diving a try, and the PADI Discover Scuba Diving experience in the pool is a great way to introduce yourself to diving and breathing underwater. 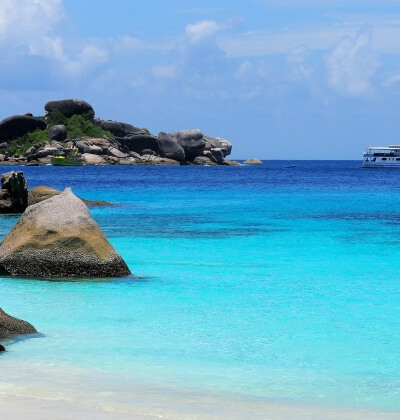 We think that scuba diving is the best activity you can do, not only here in Phuket but anywhere. We love scuba diving and we want you to also. So we are offer a free try in the pool without any obligation. The free pool session is great for getting some confidence before diving and it allows us to practice the required PADI skills thus making your day easier, safer, more fun and gives you a lot better value for money. It should only take an hour or so with one of our friendly, professional and patient PADI scuba diving instructors. Practising in the pool with the free try dive & one of our PADI Instructors is a great way to see if you like scuba diving. It can be used for those that are thinking about doing the PADI Discover Scuba Diving or thinking about enrolling in the PADI Open Water Course. A small amount of time will not only allow you to make the right decision it will also allow you to get the most from your diving experience. Scuba Diving is not always easy for divers the first time and an hour or so in the pool will make you day a lot safer, more fun and give you a lot better value for money. Further to that, there are some people that just don’t like scuba diving. 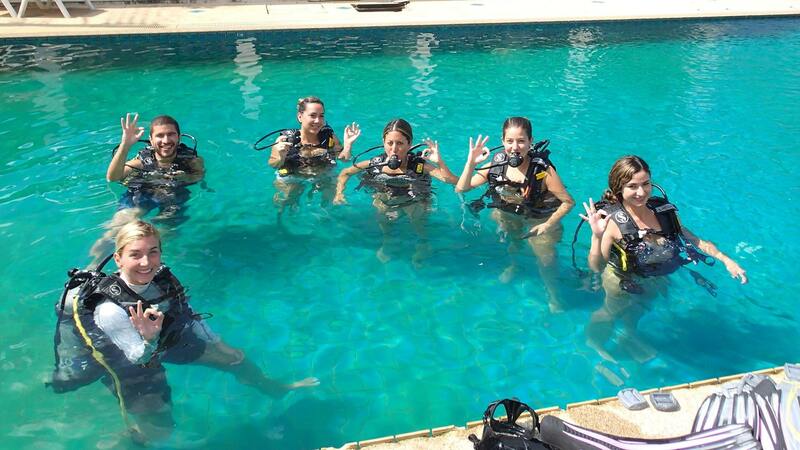 Being in the pool is the best way to discover if you will enjoy scuba diving before spending your hard earned money. Our staff are there always willing to help. Bring you family or friends along with you. You will never know who will come and join you on your first amazing experience scuba diving.